There are certain ingredients in personal care that have become buzz words of caution. Carrageenan, sodium lauryl sulfate (SLS), 1,4-Dioxane, fluoride, and nanoparticles are just a few examples. SLS is a common natural ingredient to avoid. I learned about SLS in my early years of blogging. I had posted a review of a baby shampoo I used on my daughter, and a reader commented that it contained sodium lauryl sulfate. It was “all-natural” and had been recommended by a friend. I had no idea what it was or that it was bad. I thought it was a natural ingredient. I quickly converted to California Baby. A common ingredient used in “natural” beauty products, sodium laureth/lauryl sulfate (SLES/SLS) is a surfactant derived from coconut oil. It is considered “natural” ingredient by some personal care product manufacturers because of this derivation. It creates a suds. Consumers like suds. It makes us feel like our hands and teeth are really getting clean when there is a foaming effect, but are our teeth and skin really that dirty? It does not cause cancer, as was commonly thought at the end of the last century, yet 1,4 dioxane, a byproduct of manufacturing does.1)http://www.snopes.com/inboxer/household/shampoo.asp and fell victim to an . It is an eye and skin irritant. In people with sensitive skin (prone to dermatitis, acne, eczema, psoriasis and chemical sensitivity), the drying property of SLS/SLES can cause flare-ups or may worsen existing conditions. This has been my experience with my son, who’s eczema was caused by this naturally-derived chemical and disappeared after only three days using a SLS-free soap. As the Natural Health Information Center warns us, “Do not believe that just because a product is labeled as “natural” it is free from SLS or SLES.” Many “natural” beauty companies stand by the use of SLS/SLES, such as Tom’s of Maine. Tom’s of Maine uses SLS in our toothpaste to properly disperse the ingredients, and ensure easy rinsing and removal of debris (i.e. food particles). Is SLS safe to use? Sodium lauryl sulfate is a surfactant, detergent and emulsifier used in thousands of cosmetic products, as well as in industrial cleaners. It is present in nearly all shampoos, scalp treatments, hair color and bleaching agents, toothpastes, body washes and cleansers, make-up foundations, liquid hand soaps, laundry detergents and bath oils/bath salts. Although SLS originates from coconuts, the chemical is anything but natural. The real problem with SLES/SLS is that the manufacturing process (ethoxylation) results in SLES/SLS being contaminated with 1,4 dioxane, a carcinogenic byproduct. As a member of the Tom’s of Maine Goodness Circle, I have learned a lot about the company. When I visited Maine last fall, I discussed SLS. We didn’t talk about how it was made, but we did talk about its safety. Even though research has shown Sodium Lauryl Sulfate is safe, and only small population has a negative reaction to it, Tom’s is responsive to consumer feedback and demand. In addition to their products containing SLS, they also manufacture quality SLS-free versions. 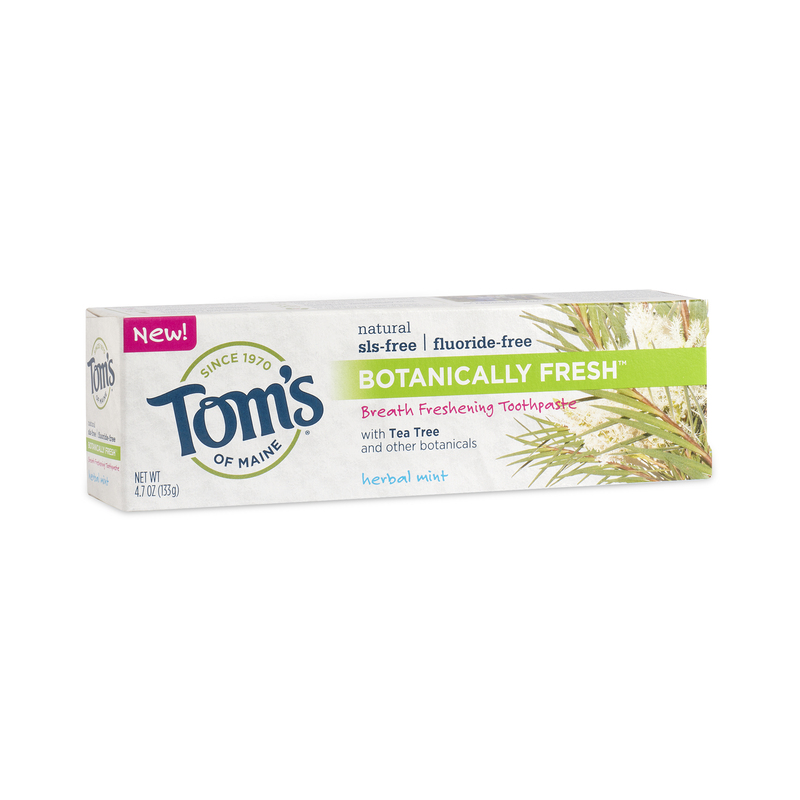 Tom’s of Maine sent us some Botanically Fresh Toothpaste to try. I really love this toothpaste! Not only is it SLS-free, it is fluoride-free too! Botanically Fresh™ toothpaste reduces bad breath odor and freshens breath using an exclusive natural blend of botanical ingredients found in nature – tea tree, sage, eugenol, myrrh, chamomile and spearmint oil. Botanically Fresh™ is free from SLS and gives your mouth a foamy, clean feeling while leaving your breath crisp and clean with its Herbal Mint flavor. We produce this toothpaste without fluoride because we respect our customers’ diverse needs and interests. This toothpaste is so refreshing, and I love that it contains odor fighting botanicals to help with my coffee breath:) It also gentle enough that it does not irritate my son’s mouth, as many mint toothpastes do. It is free of artificial sweeteners and colors as one would expect from Tom’s. My mouth truly feels fresh after using it. My son seems to have outgrown his allergy to Sodium Lauryl Sulfate, but we are still cautious. I continue to choose products without it, as I am concerned with its manufacturing process. I am thankful companies such as Tom’s offers alternatives that are still effective and sudsy. 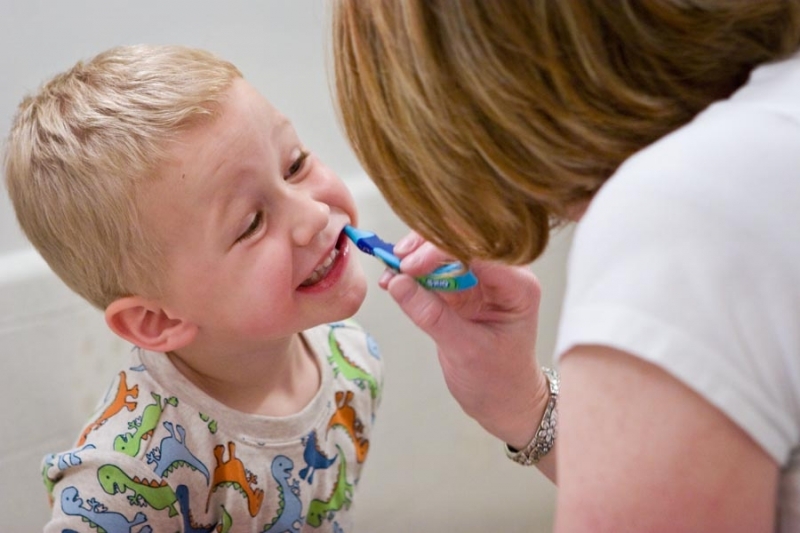 « Hygiene Hypothesis: Don’t be afraid of Dirt! In general I agree, but I after becoming involved with the Goodness Circle and meeting the employees, I have come to grips with supporting them. It is the trend of smaller organic and natural companies to be bought by larger less ethical companies, but if they can maintain their ethos, perhaps they can be a positive influence on this inevitable trend of capitalism. Thanks for raising awareness on these ingredients typically thought to be safe and natural! We have been making the ONLY organic option on the market for years now, and want people to know DIY toothpaste or our Organic Brushing Rinse is the best option for oral care that works and is truly using non-GMO, non-toxic, clean ingredients.